As a newlywed, cooking regularly for two has been both a challenge and an adventure for me. 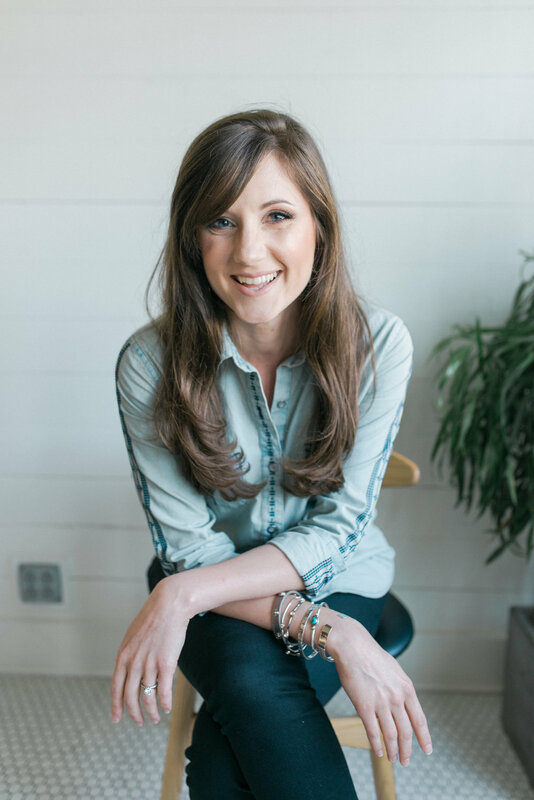 Figuring I'm not the only newlywed gal who feels this way, I asked my talented friend and food blogger, Callie of Luv Cooks, to be a guest on the TLK blog! She is joining us for a series of posts featuring great recipes for newlyweds (or longtime-weds!) and essential tools for every kitchen, while I am guest posting on her blog with ideas on how to make the most of mealtime in your marriage. In between posts, make sure to check out all the other fabulous goodness on Callie's blog. Her recipes are sure to delight, and you'll be encouraged by her sincere heart for treating people with Southern hospitality and grace in and out of the kitchen! We got a little hungry while cooking so we decided to turn one of the ingredients into our "appetizer!" And now, I am excited to share with you the second post by Callie of Luv Cooks! There are few tools in my kitchen that I use as much as a spatula. From folding melted chocolate into butter for brownies, scraping the sides of a mixing bowl to ease out those last bits of cookie dough, to smoothing out the top of banana bread batter, there are so many uses for such a space-saving tool! And not only can a spatula be used over and over and over, it saves time in the kitchen. Stirring, folding, mixing, scooping; it makes those every day kitchen tasks—like getting all of the tomato paste or leftover black beans out of a can—easier and more efficient. Plus, even when you are doing swanky things like smoothing out cake frosting or fine-tuning your egg salad, a great spatula makes that easy too. When it comes to purchasing a spatula, either a silicone or rubber one will work well. Both are easy to clean and don’t absorb flavors or odors, but the advantage of silicone is it’s resistance to melting. I normally don’t use my spatula when cooking on super high heat; I try to reserve it for lower heat tasks, like baking. But you can use silicone spatulas to stir hot items like sauces too! You can purchase multiple sizes here; I am partial to the red ones! I love the hefty wooden handles on these. This is the spatula we used for this post. The start of fall is a great time to use a spatula because I don't know about y’all, but my schedule is crazy! It is becoming even more essential to create meals that are easy, warm, and inviting. And that’s where Chicken Divan comes in. This recipe actually comes from my fiancé's grandmother Deedee—an absolutely wonderful Southern woman. In fact, October 12 will mark her spiritual anniversary and is becoming a special day for me as we all remember her. I like to think of this recipe as her gift of Southern cooking love to all of us! Not only is Chicken Divan delicious, but it is easy and will put your spatula to good use. From scraping mayonnaise from the jar, to smoothing out the top of the creamy casserole layer, it will make things easy, and give you more time to fabulously scatter cheese and cornflakes over the casserole top (see Mattye’s excellent hand form in the above photos). Enjoying taste testing our culinary creation! Alright everybody—fall is in the air, so round up that spatula, get ready to assemble a casserole, and try out what we like to call “Chicken Divine.” (The Southern pronunciation, of course). It will not disappoint you or the ones you love! Preheat oven to 350 degrees and lightly grease a 13X9X2 pan. Place frozen chicken tenders in an oven-safe pan and coat in tablespoon olive oil. Stir together sea salt and curry powder, then sprinkle the spice mixture over the chicken tenders and lightly stir with spatula to evenly coat the chicken. While the chicken is baking, make your cream of chicken soup: In a medium saucepan, whisk together milk and gluten free flour until combined. Now turn heat to medium, then add bouillon cubes and 2 tablespoons olive oil, whisking constantly until bouillon dissolves and mixture thickens. Turn heat to low and whisk for a minute or two more, until no lumps remain. Take off heat and add a dash of curry powder (a shake or two). Once the cream of chicken soup has cooled a bit, add mayonnaise, lemon juice, and unsalted butter. Stir to combine with spatula. Line the bottom of your 13X9X2 pan with the lightly steamed broccoli, making an even layer of veggies. Top with shredded chicken. Using a spatula, gently pour the creamy mixture on top, making sure to scrape the sides of the bowl with your spatula to get all of that goodness on the chicken/broccoli layer. Smooth the creamy mixture with your spatula. Top with shredded cheese, then sprinkle on cornflakes. Bake in 350 degree oven for 25-30 minutes, until cheese is melted and cornflakes look golden brown and crispy. Enjoy! *I like to put the broccoli in a glass pan, cover with saran wrap, and microwave for two to three minutes.